A Little Love & Light From My Kitchen To Yours! The other night I had the most magical pizza from West. It had truffled spinach, fresh lemon zest and mozzarella. It was so good that I was still craving it days later and decided to make a pasta dish inspired by those flavors. 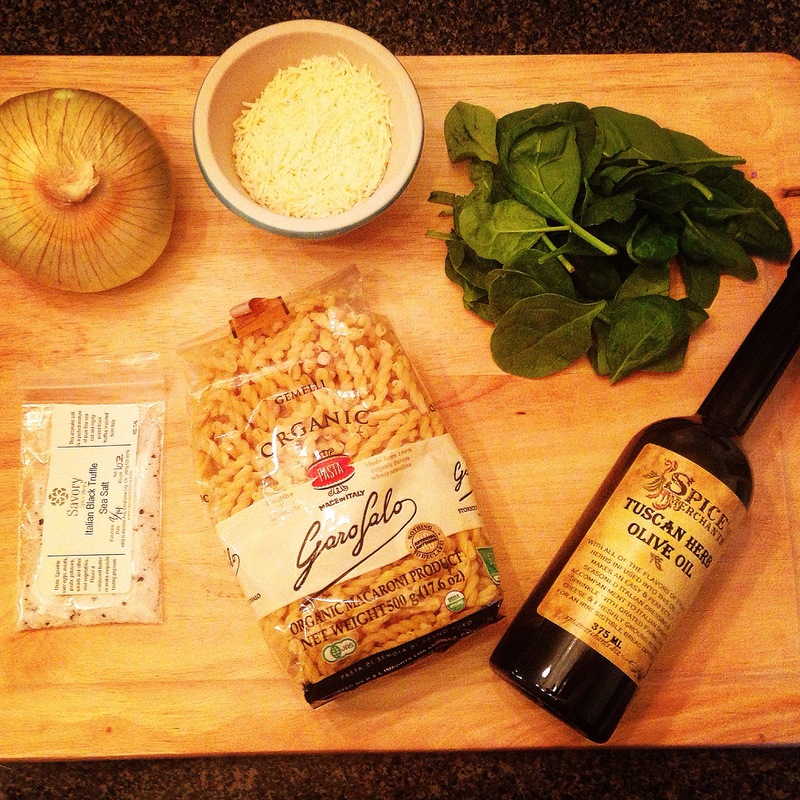 Here is a recipe for gemelli pasta with truffled spinach, tomatoes and fresh lemon zest. So good! Cook the pasta as directed until al dente. While pasta cooks, add onion and garlic to a pan with olive oil and cook on medium until fragrant, about five minutes. Add in spinach and truffle oil and sauté until barely wilted. Add lemon juice, tomatoes and half of the lemon zest. Cover and let cook just before tomatoes pop. When pasta is al dente, drain into a colander, and reserve a bit of the pasta water. Drizzle with some olive oil to keep the noodles from sticking. Turn the heat off on your pan and add in the pasta, half the truffle salt and pasta water. Stir and cover. Let sit for a few minutes to let the pasta finish cooking and soaking up the liquid. Taste and season to taste (add salt, pepper, truffle salt and/or truffle oil to preference). Just before serving, stir in the Parmesan cheese and serve topped with lemon zest, truffle salt and fresh pepper. Makes about 6 servings. 367 calories per serving. Both truffle oil and truffle salt can be strong! Use sparingly at first, you can always add more to taste! When I’m adding pasta to a pan of prepared sauce or vegetables, I add pasta until I am happy with the sauce (or veggie) to pasta ratio is where I like it, and sometimes have extra pasta depending on my personal preference on that ratio.